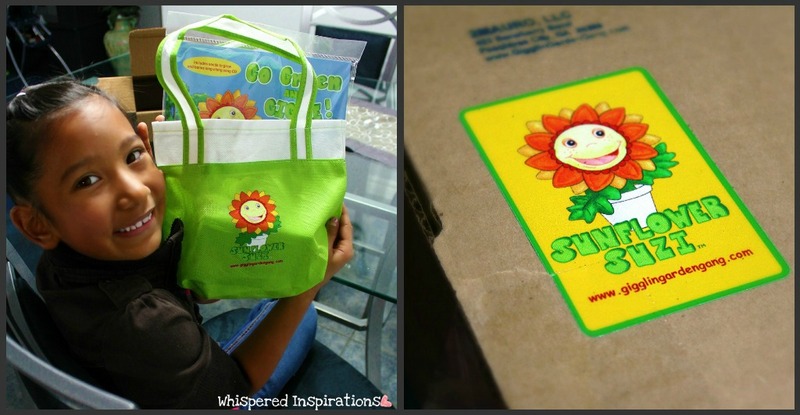 You are here: Home / Family / #GoGreenNGiggle with The Gigglin’ Garden Gang! Teaching my children a love for their planet is imperative. I’m very happy to say that my eldest daughter, Gabriella is a lover of Mother Earth. She knows her 3 R’s and always reminds us all when we fall short. She also enjoys gardening and we have a small garden in the back that she and her Grandma tend to. During their seasons, we grow tomatoes, peppers and cucumbers and lot of herbs as well. I am so happy to have been given the chance to check out the Gigglin’ Garden Gang and my daughter Gabby was even more excited to get her little hands on it and try out her green thumb indoors. Who is the Gigglin’ Garden Gang? Well, it’s Suzi Sunflower, Randy Radish, Ollie Onion, Daphne Dahlia, Majesty Maizee and Conroy Carrot! Suzi has her very own Facebook page, so visit her there! If you are on Twitter, you can follow them for updates, here. A group of lively and fun characters that teach your child how to be green and how to take care of Mother Earth. 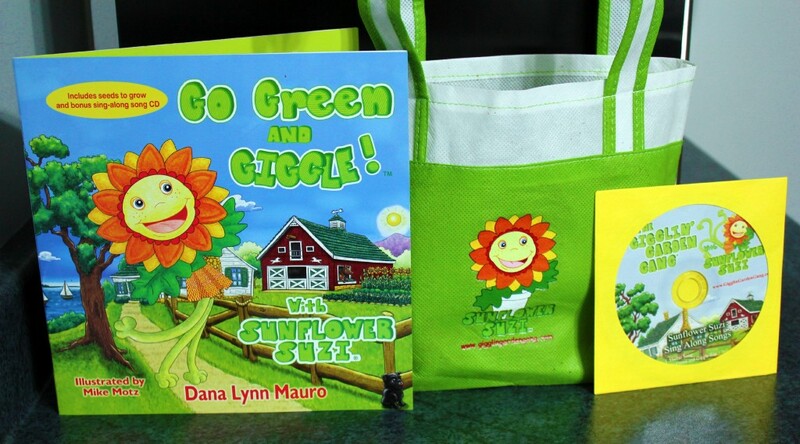 The G-G-G kit comes in a nifty, environmentally-friendly tote bag, equipped with a music CD and educational book to read with your children. Step 1: Read the Book-Meet the Gang! My daughter and I are huge bookworms and we were happy to jump in and get straight to a book, we didn’t expect to giggle so much though! Every member of the Gigglin’ Gang had a joke ready for my daughter as she read along. The main character is Sunflower Suzi and Randy Radish has a crush on her because he thinks she’s cute. Step 2: Get Our Hands Dirty! Place the pellets with the opening facing up, get warm water and prepare to slowly add it to the dry pellets. This is where you can help your child pour or guide them. Watch them expand and grow right before your eyes! Your child will absolutely LOVE that part! Even I was amused! 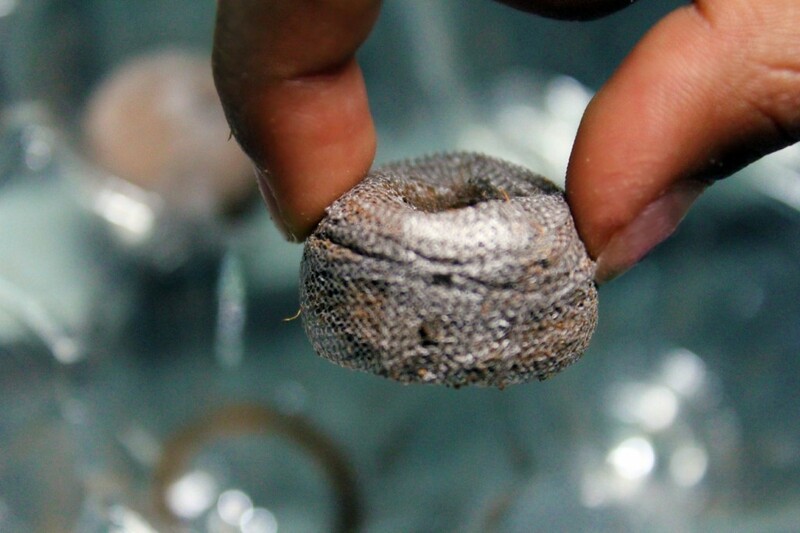 After they swell up, they are ready to be sowed! Step 3: Plant the Seeds. After learning the importance of being kind to the Earth and the benefits of plants and sunflowers in particular, we are ready to plant our own! 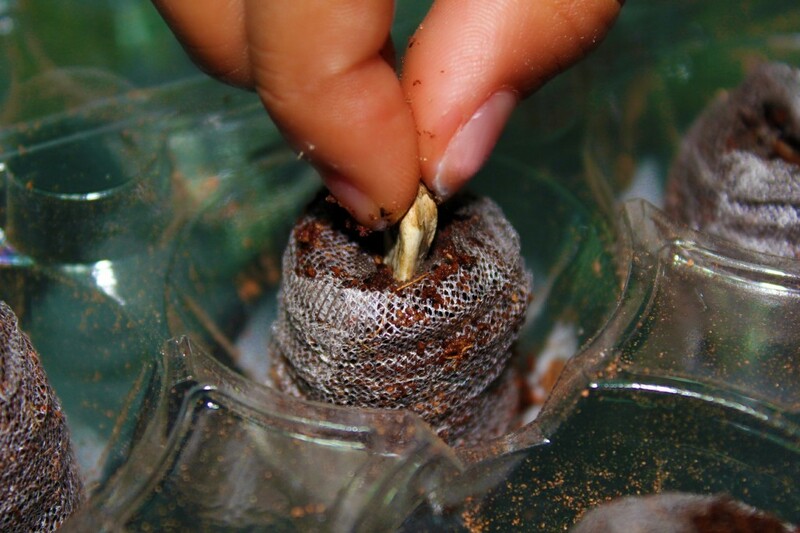 All you need to do is simply insert the sunflower seeds into the soil pellets and make sure that the seeds are nicely covered with soil. Gabriella most liked doing this part and what kid doesn’t want to grow their very own garden? Step 4: Watch Them Grow! 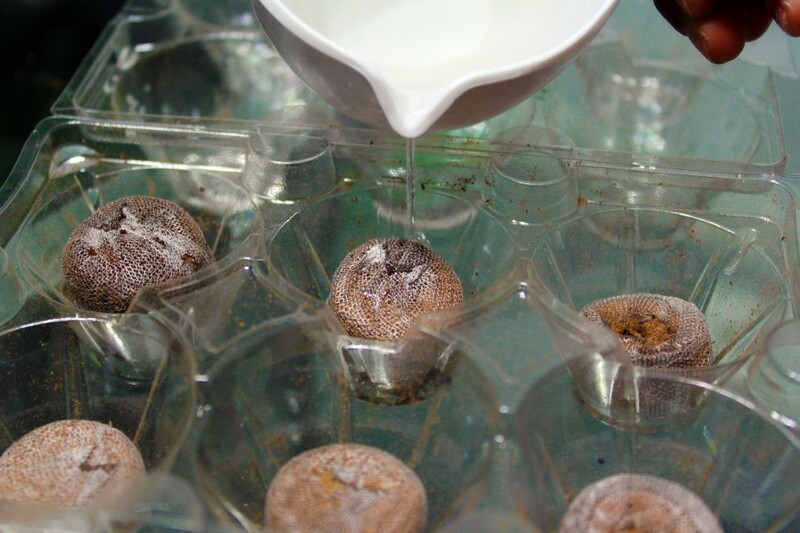 Place the pellets into a well-lit area where they will get lots of light and with time, watch them grow. 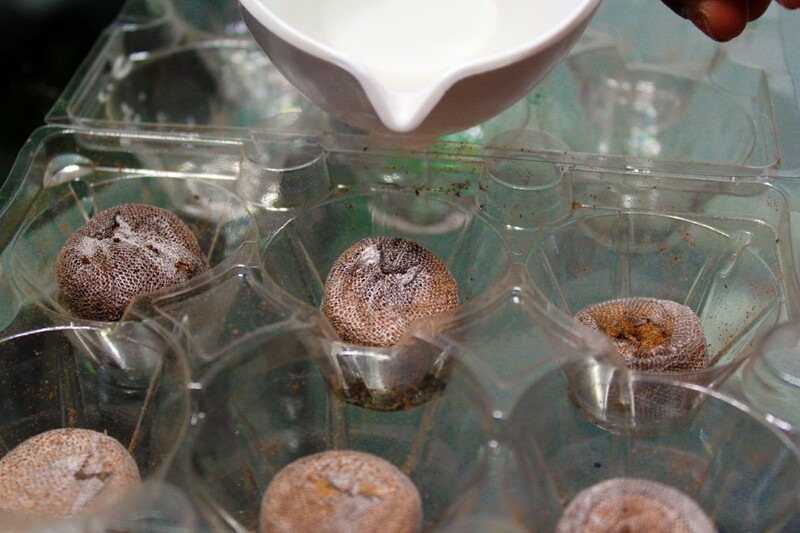 Make sure that you and your child keep an eye on them and when they are looking a little dry you can re-water them or use a mister to get them moist again. It’s a great feat to teach your child the responsibility of sustaining life and even if it’s a sunflower, it’s a great virtue to instill. 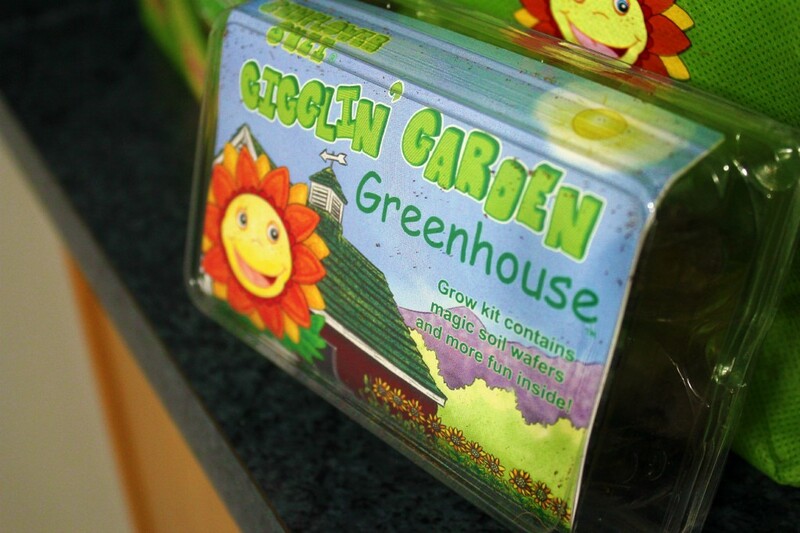 The Gigglin’ Garden Gang is a great way to teach kids to love Mother Nature, to love the things that they can grow with her very own soil. Why they matter and how they can help restore this planet. There is an infinity of benefits from growing your own plants and vegetables and teaching kids this at a young age and making it FUN is something that is invaluable and cannot be bought. The kit won’t be available until early Spring, which is a perfect time to get started and a perfect time to transplant when ready! In the meantime, check out the Gigglin’ Garden Gang website to see more! There is an abundance of information there. 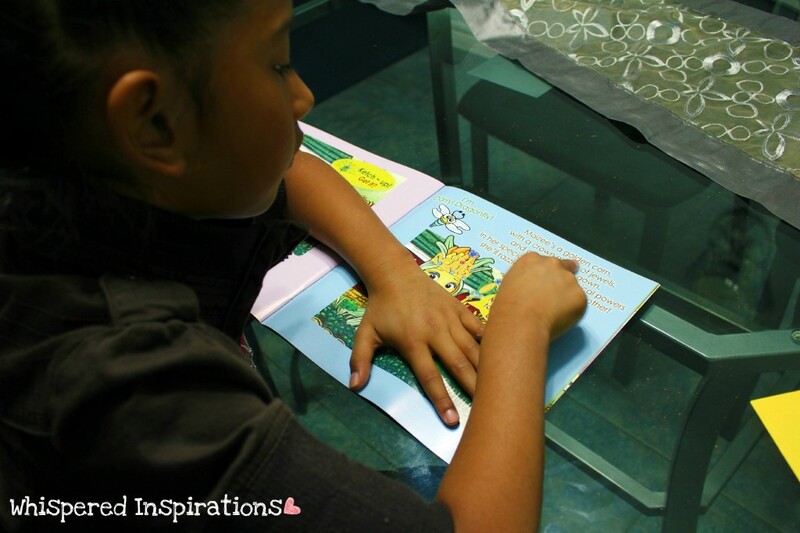 It retails for $20.95 which is definitely worth the experience and lesson that is taught and instills in your child. They will love the G-G-G and love being hands-on. 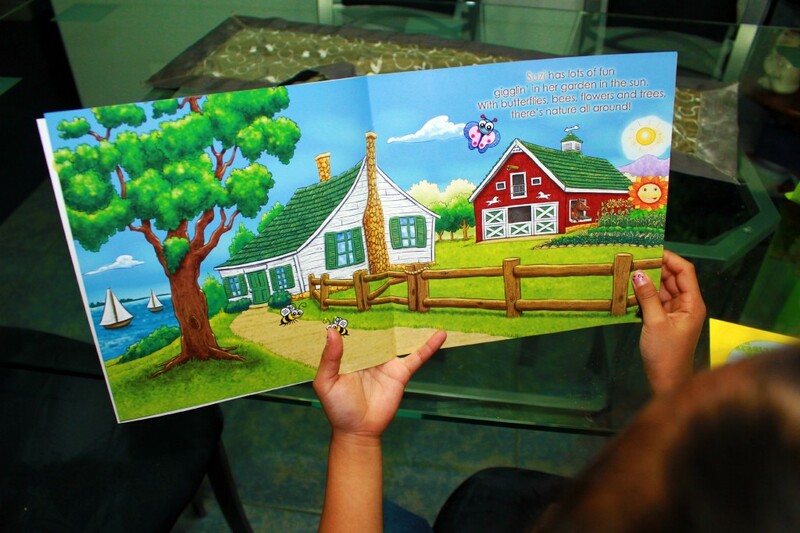 The book is funny and has a lot of jokes for both you and your child and the music is really cute. It comes with a nice song, which you heard in the video and with a rap song too. You can sing-along with one of the tracks too! Gabs really enjoyed the book and CD. I’m very happy that there is a company out there that is willing to have a fun and easy way to enrich a child’s knowledge about growth and about living a greener life. 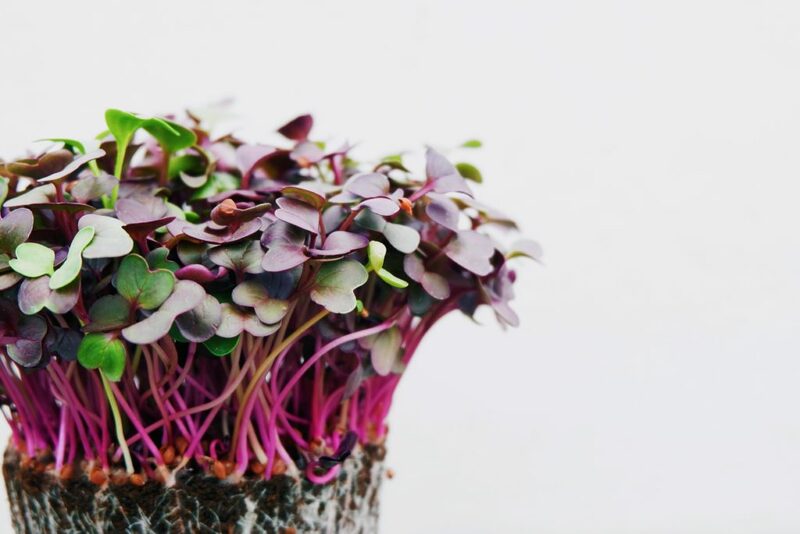 Want to start your own indoor garden? Check out our whole experience illustrated through pictures, here! Previous Post: « ShesConnected: I’m a Toshiba Brand Ambassador! I absolutely love this! I can't wait to get my hands on one of these kits! My Bug will love it. She already adores the website and the whole gang! Your daughter is A-DOR-ABLE! I love that. We have a garden outside, but these would be great for growing things in the winter. That's awesome, I think having a garden is something great to teach your kids! I'd like to grow some kind of fruit next year, we have the basic veggies and it is tons of fun! Wow – that kit looks like so much fun! Easy planting, for sure! Living green is important to me too. I think that any little change makes a huge difference! 🙂 I can't wait until they are ready to transplant, I'll definitely do a follow-up! 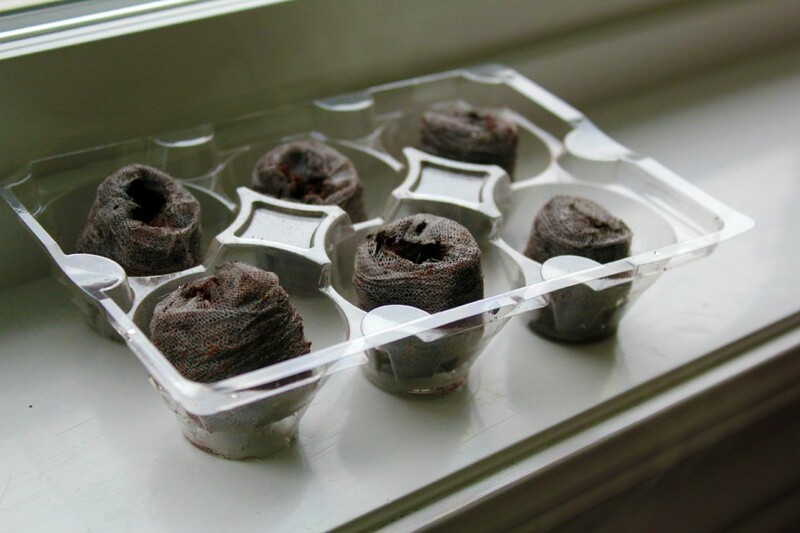 What a fantastic idea and great way to teach kids about the earth and how things grow! I think it's awesome, can't wait until they are out for everyone to buy! That looks so easy and like so much fun for the whole family! It was! The music CD was a hit with the kiddos too 🙂 The characters on the site and navigating online was fun for her too. My sister had something similar to that. She liked to plant lettuce in it. Brings back memories, I'm sure my 6 year old would love this! that looks like fun, my boys would be into that! I am loving this kit! I think that my daughters would love this! Thanks for sharing! It was so much fun to do and she's enjoying watching over them. What a nice way to introduce gardening and our environment! Definitely NO MESS! Her first little plant sprouted today and she was super happy! I had a garden when my kids were young it was a lot of fun watching plant grow and then preparing them in the kitchen !